In December last year, Kevin Hart stood down as host of the Oscars after a number of insensitive and homophobic tweets made by the actor surfaced. Recently, Hart appeared on an episode of The Ellen Show, in which he and DeGeneres discussed the incident, and how he’s handled it since. DeGeneres even suggested he should try to be the host again, revealing she’d called the Academy and urged them to rehire Hart. However, some people don’t see it the same way as DeGeneres, and have pointed out Hart still didn’t formally apologise for his tweets, and instead, spoke about the ‘trolls’ who’d launched ‘a malicious attack’ on his character. I called the Academy today as I really want you to host the Oscars. I was so excited when I heard that they’d asked you. I thought it was an amazing thing. So I called them and said Kevin’s on, I have no idea if he wants to come back and host but what are your thoughts and they were like ‘oh my God, we want him to host, we feel like maybe he misunderstood or it was handled wrong, maybe we said the wrong thing but we want him to host’. The Academy is saying what can we do to make this happen and I am saying to you as one of the smartest people I know, one of the funniest people I know… there are so many haters out there and whatever is going on with the internet, don’t pay attention to them, that’s a small group of people being very, very loud. Agreeing with Ellen, Hart concurred the problem lies with those who unearthed his old tweets, describing it as a ‘malicious attack’ on his character. Leaving here, I promise you I’m evaluating this conversation. Let me assess, just sit in the space and really think, and you and I will talk before anything else. 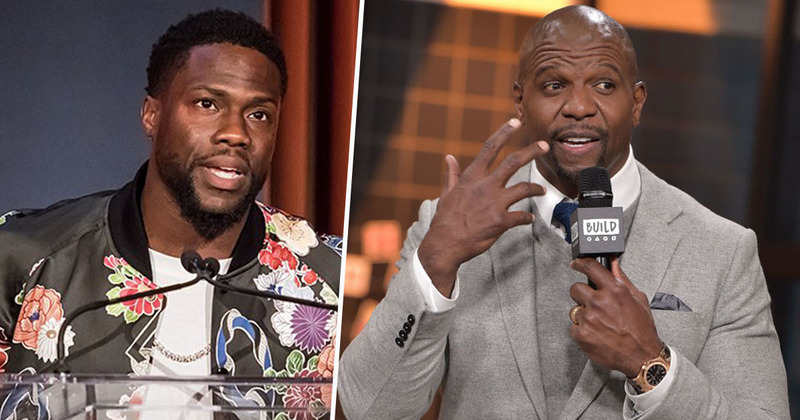 Today (January 10), Brooklyn Nine-Nine star Terry Crews called out Hart, expressing disappointment for the way he handled the situation and the controversy over his historic tweets. He feels like he’s being attacked. But the truth is, he’s not. The truth is, Kevin, you’re not being attacked. The truth is you have to just acknowledge what went on and acknowledge the pain of other people. That’s all anybody’s asking for. That’s it. Crews went on to compare himself to Hart, saying how easy it is to become overly defensive when you’re accused of doing something wrong. We do have to admit our guilt and say, ‘Hey, I messed up and let’s fix this thing.’ I think that he will do that, and he has always done that. At the time of writing, no replacement host for the Oscars has been announced.